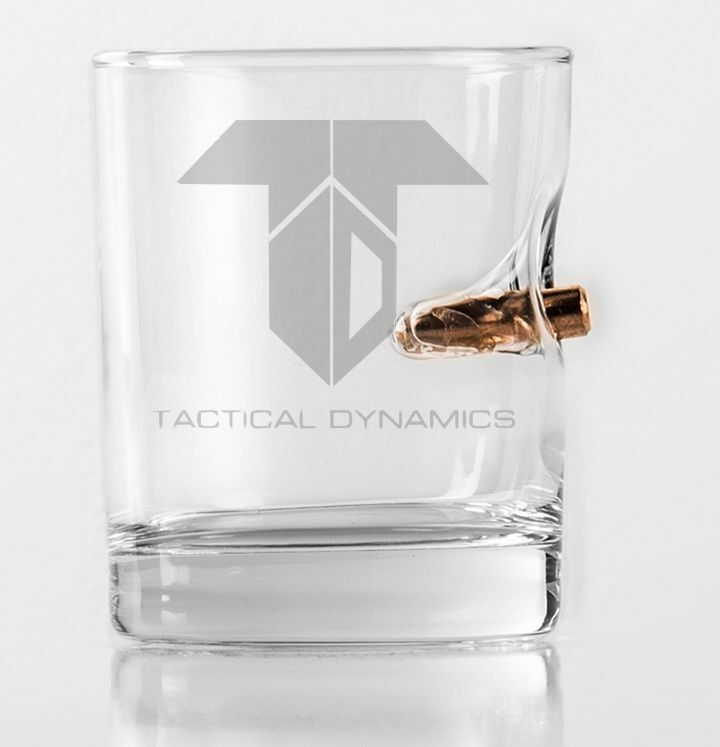 Tactical Dynamics Laser Etched Shot Glass Shot glass with our logo laser etched onto the front-side of the glass Shot glass with a real lead-free 0.308 bullet. Glass is high-quality, heavy, and handcrafted in a glass workshop in Wisconsin. Shot glass with embedded bullet. Each rocks glass is unique. Made in the USA from US sourced goods. Raw glass, bullets, and packaging all made in the USA.